Kamps R, Brandao RD, Bosch BJ, Paulussen AD, Xanthoulea S, Blok, et al. Next-generation sequencing in oncology: genetic diagnosis, risk prediction and cancer classification. Int J Mol Sci. 2017;18:308. Meacham F, Boffelli D, Dhahbi J, Martin DI, Singer M, Pachter L, et al. Identification and correction of systematic error in high-throughput sequence data. BMC Bioinformatics. 2011;12:451. Kinde I, Wu J, Papadopoulos N, Kinzler KW, Vogelstein B. 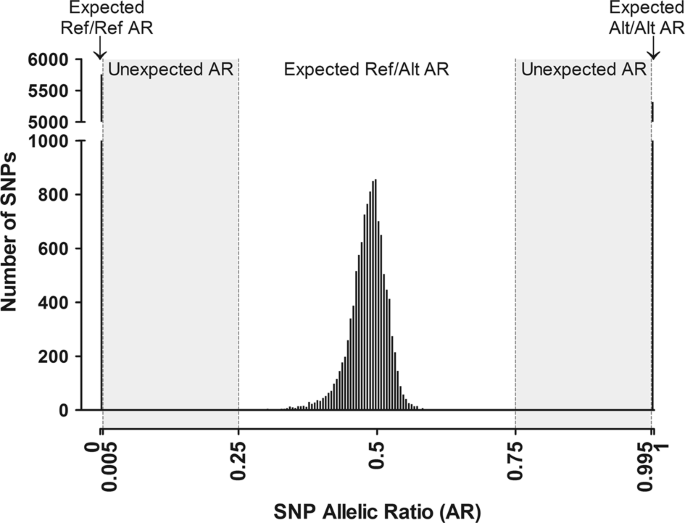 Detection and quantification of rare mutations with massively parallel sequencing. Proc Natl Acad Sci USA. 2011;108:9530–5. Costello M, Fleharty M, Abreu J, Farjoun Y, Ferriera S, Holmes L, et al. Characterization and remediation of sample index swaps by non-redundant dual indexing on massively parallel sequencing platforms. BMC Genomics. 2018;19:332. Martin M. Cutadapt removes adapter sequences from high-throughput sequencing reads. EMBnet.journal. 2011;17:10–2. Van der Auwera GA, Carneiro MO, Hartl C, Poplin R, Del Angel G, Levy-Moonshine A, et al. From FastQ data to high confidence variant calls: the Genome Analysis Toolkit best practices pipeline. Curr Protoc Bioinformatics. 2013;43:1–33. Davidson CJ, Zeringer E, Champion KJ, Gauthier MP, Wang F, Boonyaratanakornkit J, et al. Improving the limit of detection for Sanger sequencing: a comparison of methodologies for KRAS variant detection. Biotechniques. 2012;53:182–8. Taniguchi S, Maekawa N, Yashiro N, Hamada T. Detection of human T-cell lymphotropic virus type-1 proviral DNA in the saliva of an adult T-cell leukaemia/lymphoma patient using the polymerase chain reaction. Br J Dermatol. 1993;129:637–41. Cibulskis K, McKenna A, Fennell T, Banks E, DePristo M, Getz G, et al. ContEst: estimating cross-contamination of human samples in next-generation sequencing data. Bioinformatics. 2011;27:2601–2. Bergmann EA, Chen BJ, Arora K, Vacic V, Zody MC. Conpair: concordance and contamination estimator for matched tumor-normal pairs. Bioinformatics. 2016;32:3196–8. Sehn JK, Spencer DH, Pfeifer JD, Bredemeyer AJ, Cottrell CE, Abel HJ, et al. Occult specimen contamination in routine clinical next-generation sequencing testing. Am J Clin Pathol. 2015;144:667–74. Jun G, Flickinger M, Hetrick KN, Romm JM, Doheny KF, Abecasis GR, et al. Detecting and estimating contamination of human DNA samples in sequencing and array-based genotype data. Am J Hum Genet. 2012;91:839–48. Flickinger M, Jun G, Abecasis GR, Boehnke M, Kang HM. Correcting for sample contamination in genotype calling of DNA sequence data. Am J Hum Genet. 2015;97:284–90.